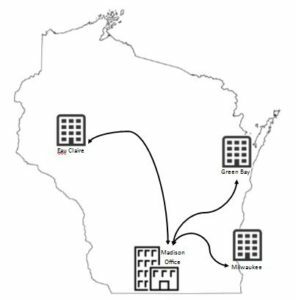 Is your business moving to a new location or expanding? Do you need an effective internal and remote network strategy?Do you need help with your current computer network setup? Our networking technicians specialise in planning, building, implementing and maintaining networks for office or home. We partner with you to review your current network layout and offer setup proposals to meet your current business needs and plan for the future. Plus, we present a cost-effective plan to maintain your network for years to come. It's important to have a firm plan and process in place for how each device and piece equipment connects and interacts on your network. We work to make sure your network is optimized for your needs. A properly connected Computer Network Setup will allow you to work from anywhere! 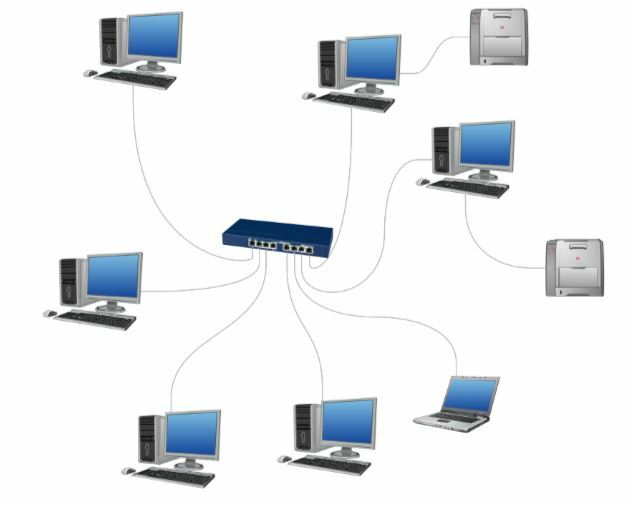 We also setup and maintain remote connectivity for offices. We have a number of customers who have offices in Madison but also need to have VPN (Virtual Private Network) connectivity over the internet to office locations outside of Madison. We have a number of business owners and their employees who work remotely. We provide solid connectivity so your operation runs smoothly whether you are on site or across the country. Remote access allows you to login to access your work terminal or cloud productivity solution securely over the internet. A Virtual Private Network (VPN) setup allows you to share documents , files and other information with your entire team simply and easily. Say you're working with a client and a team member is out. Your entire team can access information vital to that client. That can be the difference between keeping or losing a client because you can’t help them immediately. Contact us so we can sit down with you, review options and assist with your setup.